It’s actually happened. Yes, Ubuntu is available on the Windows Store. Windows Insiders can now download and install Ubuntu onto Windows 10, adding some command-line fun. This brings Linux and Windows together in an unholy union few ever imagined they’d live long enough to witness. This day has been coming for some time. Microsoft first announced it was adding Windows 10 support for the Bash shell A Quick Guide to Linux Bash Shell in Windows 10 A Quick Guide to Linux Bash Shell in Windows 10 You can now run Linux on Windows. Learn more about Bash on Windows, from how and why you should install it, to hidden features you probably didn't know about. Read More at Build 2016. Then in May 2017 Microsoft announced it was bringing Ubuntu, Fedora, and OpenSUSE to the Windows Store. And Ubuntu is first to arrive on the scene. Ubuntu has now been added to the Windows Store, with the description:, “Ubuntu on Windows allows one to use Ubuntu Terminal and run Ubuntu command line utilities including bash, ssh, git, apt and many more.” Ubuntu runs in a sandbox alongside Windows 10, sharing access to files. It should be noted that this is currently only available to people using the latest Windows Insider build of Windows 10. However, in time anyone using Windows 10 after the Fall Creators Update Microsoft Delays New Windows 10 Timeline Feature Microsoft Delays New Windows 10 Timeline Feature Microsoft has delayed Windows 10's new Timeline feature. We don't know when it will be ready, but we do know it won't be ready in time for the Windows 10 Fall Creators Update. Read More has dropped will gain access to Ubuntu. And we’ll be sure to let you know when that happens. For anyone who grew up at a time when Linux was the David to the Windows Goliath, this is an odd turn of events. And the fact that Microsoft now loves Linux Does Microsoft Really Love Linux After All? 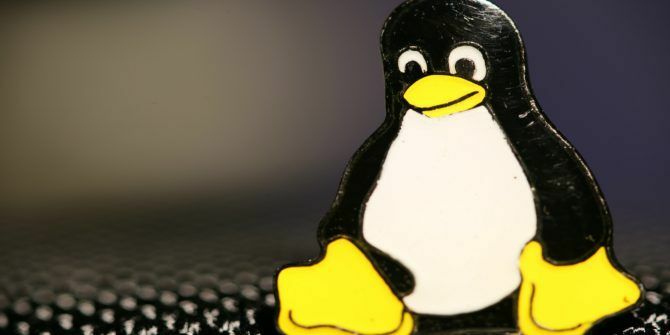 Does Microsoft Really Love Linux After All? Microsoft and Linux have had a tumultuous relationship. Over the years, CEOs have expressed a desire to see Linux disappear, but these days the story is different. Does Microsoft really like Linux after all? Read More just shows how things have changed for all concerned. What’s next? Google and Apple merging Android and iOS into one mobile operating system? You may snigger but this has proved that anything is possible. Are you currently using Windows 10? Are you a Windows Insider with early access to Ubuntu on the Windows Store? If so, what do you think of it? Are you a fan of Ubuntu? Is this a good or bad thing for Linux overall? Please let us know in the comments below! Explore more about: Linux Distro, Ubuntu, Windows 10, Windows Store.
" Microsoft now loves Linux"
I wonder if it's not part of M$'s Embrace, Extend, Extinguish agenda? Although that is going to be very hard to do with Linux's decentralization into 1,000 distros. Of course, Microsoft can channel Darl McBride and The SCO Group and try to claim that MS owns the basic Linux intellectual property and, consequently, try to extinguish all distros in one swell foop.